This section deals with the big stuff in physics, and when we say big we mean really big. Planet Earth is but a mere spec of dust in the massive and diverse realm of outer space. Considering that we all live on Earth, this section explains some of the fascinating phenomenon in space and how such things may affect our tiny planet. To get a feel for how massive the universe is, check out the deep field image from the hubble telescope. This image not only shows the really distant, but the realy old. Some of the galaxies are believed to be 800 million years old. To take this picture, 800 exposures were taken during 400 orbits around Earth. The total exposure time adds up to 11.3 daysThe image required 800 exposures taken over the course of 400 Hubble orbits around Earth. The total exposure time was over 11 days! Click here for a full size image, or visit this site for an online zoomable version. Photo credit: NASA/ESA/S. Beckwith(STScI) and The HUDF Team. 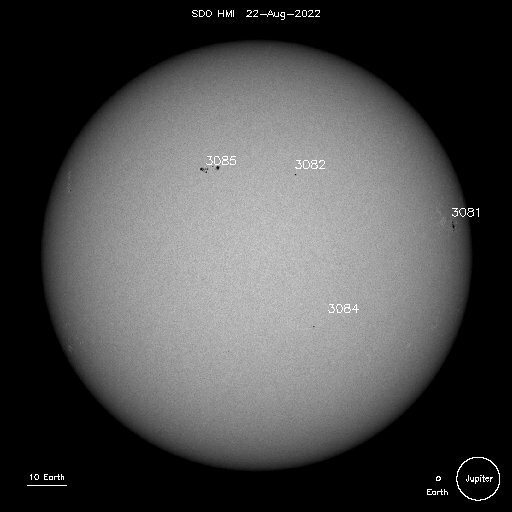 The images below are from NASA and represent the latest data from SOHO. Press refresh in your browser to update the images. Amateur astronomers gathered for the 34th Texas Star Party, which offered them a chance to gaze at a sky full of nothing but stars. More.. In its 34th year, the Texas Star Party drew more than 500 amateur astronomers from across the United States and Canada to gaze together into the vast open skies. More..